The French official was speaking at the opening ceremony of Morocco-France business Forum, a cooperative investment-focused event between Paris and Rabat. 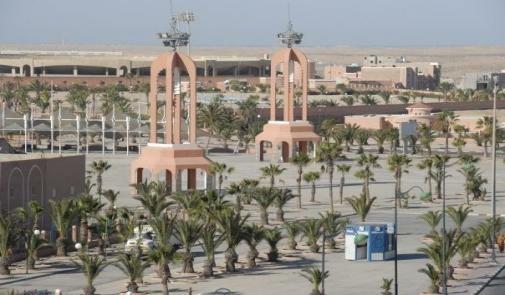 The forum, which is being held in Laayoune, opened on November 2 and is set to close on November 4. Philipe-Edern-Kelin remarked on the rapid transformation of the Laayoune-Sakia El Hamra region in recent years, calling it “an ideal hub” for business and investment ventures in Africa. The French businessman heaped praise on Morocco’s efforts to modernize the historically lagging-behind southern regions, noting improvement in living standards—especially progress in infrastructure—and investment prospects. Since proposing its Autonomy Plan in 2007, Morocco has laid the ground for massive development projects in southern territories. In Laayoune, Dakhla and Smara, Rabat has pledged over $7 billion to foster progress in infrastructure and employment prospects for locals. 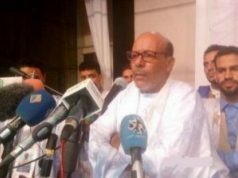 This year, Rabat reaffirmed its commitment to southern regions. According to government figures, Western Sahara won the lion’s share for the 2018 public investments funds. The government allocated more than 53 percent of the public investment funds to the Laayoune El Sakia Hamra region alone. Commenting on the structural transformations that Morocco’s investment efforts have led to in terms of infrastructure, employment and investment opportunities, the French official said that Morocco’s experience in southern territories should be a source of inspiration for other African countries when it comes to inclusive development strategies. “The region of the South benefits from ambitious investment programs, both public and private, and major infrastructure projects that make it the ideal hub to the African continent,” he said. He also called on Moroccan and French investors to accompany the Moroccan government’s initiative by engaging more with the region with regards to investments. Philippe-Edern Klein finally announced a number of future projects for the southern region. The projects include the construction of a state-of-the-art industrial park with a land base of 40 hectares to be in El Marsa, a port city in the Laayoune-Sakia El Hamra. There are also projections of a modern college campus expected to host the French School of Business. Philippe-Edern Klein’s remarks come at a particularly critical time for Morocco’s legitimacy claims over the southern territories. 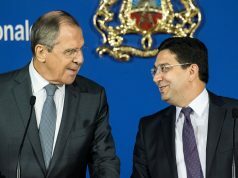 The UN has been lately pushing for all parties to make concessions to reach an amicable and mutually accept, the Frenchman is not the first international figure to laud Morocco’s engagement in the southern provinces. At the Crans Montana forum held earlier this year in Dakhla, a host of international participants—including foreign officials and investors —acknowledged Morocco’s development efforts in the region. Renowned American priest and civil rights icon Jesse Jackson, for example, put Morocco on the pedestal of an Africa-inspired push for economic prosperity and inclusive growth. 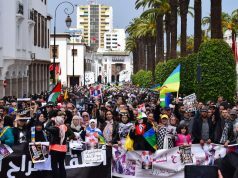 Reverend Jackson said that Morocco’s recent reforms—political and economic—should stand as an inspiration for other African countries. He called Morocco the “light-bearer for Africa,” noting that Rabat’s pronounced determination for increased South-South cooperation and intra-African exchanges can help bridge the widening development gulf between developed and developing countries.